Last week, we discussed the differences between choosing a major and choosing a school. This week, we will give guidance on whether and how to choose a major on the Common Application. How many seventeen- and eighteen-year-olds really know what they want to do for the rest of their lives? Not very many – which is why so many students worry about declaring a major on their college applications. However, it is important to remember that declaring a major is not necessarily a permanent decision. In fact, some studies show that as many as ¾ of college students will change their majors at least once before graduating. There are certainly benefits to remaining undecided upon entering college. This allows students the opportunity to explore the available options once in school. Moreover, most schools do not require students to commit to a major until the end of sophomore year or beginning of junior year, which leaves plenty of time to test out various majors without making a solid commitment. This allows students ample opportunities to find the perfect courses of study for their individual needs. However, there are also distinct benefits to declaring a major, particularly for students who are sure of their career goals. For one thing, a student who declares a major early on has a head start in terms of taking the classes required for that major. It can be helpful to have a clear plan for which courses will be taken in each semester, and declaring a major immediately can help students develop such a plan. In addition, having a head start also allows plenty of time to change majors if a student discovers that his or her interests lie elsewhere. As for benefits in the application process, declaring a major tends to send a clear message to the school regarding a student’s passion, motivation, and commitment. A student who is certain of his or her path, who has already taken steps toward a specific career field, and who is ready and willing to commit to a specific course of study demonstrates strong motivation and clear goals. 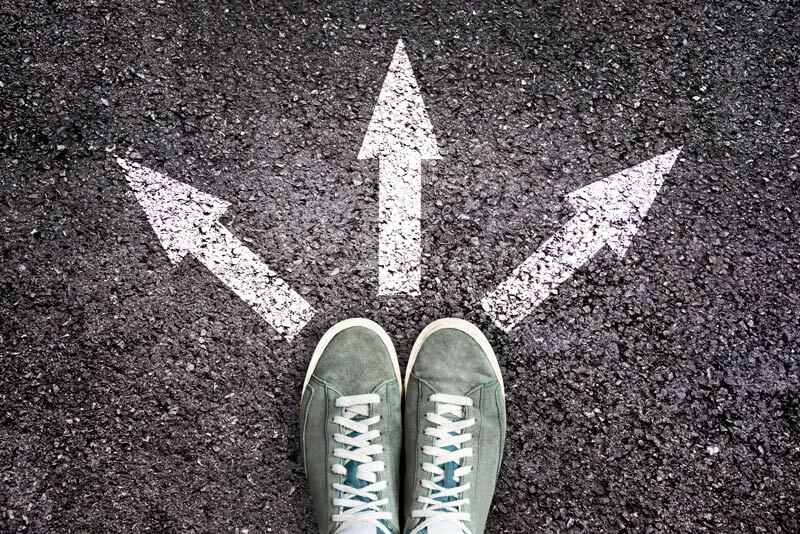 Because there are nearly always opportunities to change directions once in college, it may well be worth it to declare a major on the college application. The first things to consider when choosing a major or a course of study are a student’s strengths and weaknesses. No matter how much she might long to become a pediatrician, a student with terrible performance in science classes probably shouldn’t pursue a degree in biology. Colleges look for students who they feel will succeed; thus, students who declare a major ought to make sure that the major is one in which they are likely to succeed. Many students voice concern about potential competition among students choosing the same major, reasoning that colleges seeking diversity will only want a certain number of students in a particular field of study. They worry that choosing a popular major will harm their chances of admission. However, the popularity of various majors changes over time. For example, only a decade or two ago, Harvard’s most popular major was government while economics ranked a distant second. Today, the two majors have swapped positions, with economics becoming the most popular major and politics trailing behind. In addition, schools know that students will change during the four years spent in college, and so they do not take a declaration of a major on the application as something set in stone. Choosing a major will only result in increased competition if that major falls within the purview of a particularly selective school or college within the university. We discussed the difference between choosing a major and choosing a school last week. While choosing a particular major generally will not harm a student’s chances for admission, it is possible for certain majors to lend a certain edge to an application. For example, in recent years many schools, including Harvard, have begun to encourage students to focus more on the humanities and the classics, fields which have seen a severe drop in interest in recent decades. In such cases, choosing to major in a somewhat more obscure field may offer a slight advantage as schools are often eager to garner support for such programs. However, it must be noted that any choice of major absolutely must align with the rest of the application – a student should never choose a major solely to add a slight edge to his or her application. A student who claims to want to major in folklore and mythology, but who spent four years on math team, excelled primarily in math and science courses, and wrote an essay about the wonders of modern engineering, probably won’t have much success with his application. When students begin the process of selecting a major or a course of study, they should do plenty of research. Students should be aware of the required courses for their intended majors as well as potential career paths for their chosen field. With this information in mind, the student should then consider his strengths and his interests. Just as a student should choose a course of study that plays to his or her strengths, a student should also choose a major which interests him or her. A student who finds history to be boring will not perform well as a history major, because academic success depends, at least in part, on interest and passion for the subject material. Choosing a major is a personal choice. It is absolutely vital that students consider both their academic strengths and their personal interests when selecting a major; everything else is secondary. This will ensure maximum success, both in the application process and in the years of schooling to come.